Found 5 file extension associations related to Sound Studio and 3 file formats developed specifically for use with Sound Studio. 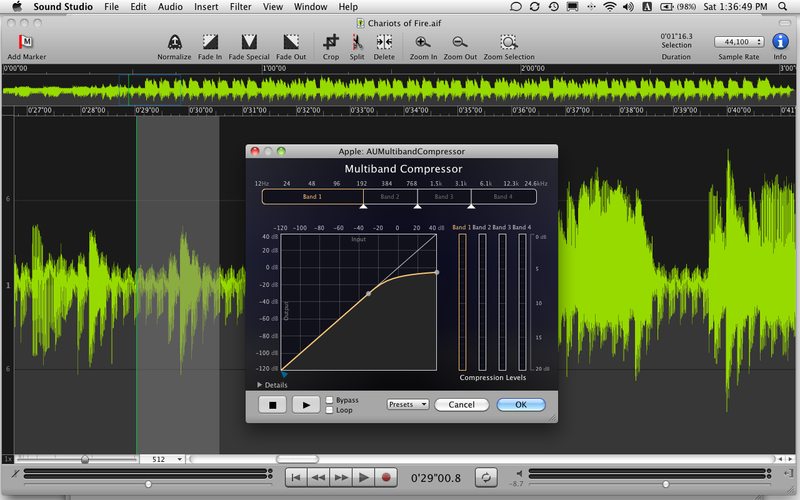 Developer / company: Felt Tip Inc.
Sound Studio is an easy-to-use Mac OS X application for recording and editing digital audio on your computer. Digitize tapes and vinyl records, record live performances, create your own mixes with crossfades, tweak the levels and EQ, apply digital effects and save in all major file formats with Sound Studio! If you need more information please contact the developers of Sound Studio (Felt Tip Inc.), or check out their product website.